If you're setting up OctoClient for the first time, the following guide will show you through it. 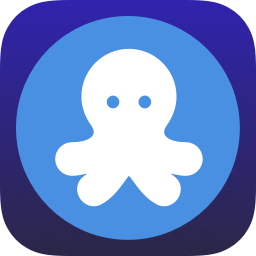 OctoClient is an iOS app frontend for OctoPrint, a brilliant piece of software that lets you control your 3D printer over a network. You'll need to have set up an OctoPrint instance to be able to use OctoClient. For more information on OctoPrint, see its project website at https://octoprint.org. This is a name you can set to identify your printer within OctoClient if you connect multiple printers. This is the web address of your OctoPrint instance. For information on how to find it, see Where to Find Your Hostname. This is the key the app needs to be able to connect to OctoPrint, not a username and password. You can find it in the OctoPrint web interface under "Settings" > "API Key", where you can scan a QR Code of the key or enter it manually. For more details, see Where to Find the API Key. This option is for underpowered devices (like the Raspberry Pi Zero W) to reduce the amount of requests the app makes to increase the OctoPrint instance's performance. Most setups won't need this option.